In yet another major leak at the crippled Fukushima nuclear power plant, operator Tokyo Electric Power Co. (TEPCO) reported that 750 tons of contaminated rainwater have escaped the plant. The water overflowed from mounds where storage tanks for radioactive water are located, The Japan Times quoted TEPCO as saying. Rainwater within that perimeter had up to 8,300 becquerels per liter of beta particle-emitting radioactive substances, such as strontium-90. The leak has likely made its way to the ground, according to the officials, but they do not anticipate the contaminated water spreading further into the sea. The spilled rainwater was discovered in two separate places between the artificial mounds and the ground. Initially, the leak was believed to be 400 tons. It was later revised upwards. TEPCO has been having difficulties dealing with plant decommissioning and has been forced to postpone deadlines and deal with alarming incidents. 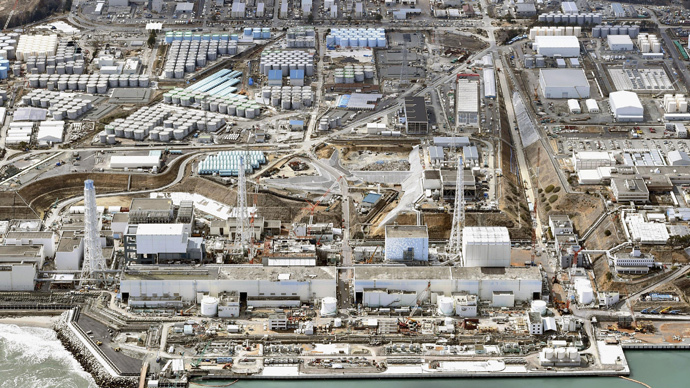 Over a month ago, TEPCO said it would have to miss the toxic water cleanup deadline, suspending it until the end of May and revising earlier promises to be done by March.